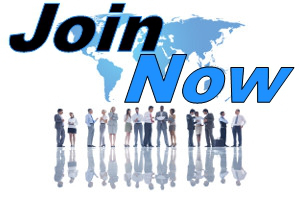 When you register with us for FREE you will be able to enter your referral ID's for all the sites in our network in to our Downline Builder, and promote the GT Marketing Group to get referrals in ALL of our member sites. You will also be able to add up to 30 of your favourite programs to the Custom Downline Builder and have those programs shown to everyone that joins GT Marketing Group as your referrals, your programs will be seen by their referrals as well. All the Referral links for the core programs on the GT Marketing Group site use Downline Integrity, so YOUR Referral Links are automatically substituted when you promote us. Launching A Mailer Or Traffic Exchange? It sounds so easy, just install the script and earn money straight away, reality is it virtually NEVER works like that in reality! If you are thinking of launching your own Mailer or Traffic Exchange, GT Marketing Group may be able to help you with getting things right. We won't don't charge any fee for this assistance, we just require you to meet the criteria that falls in line with our core values. So if you want to create a Business built around a long term goal, and you are not simply wanting to try and cash in then check out, we may be able to help you to succeed!